Find an experienced commercial painting company for your next painting project. Owning a commercial building takes a lot of planning and maintenance to keep everything looking good. If you have scuffed, dented, and peeling paint on the inside or outside of your building, it can make it look old and neglected. At Prep-Rite, Painting, we know how important it is for you to have your building look nice and neat. We are an experienced commercial painting company that can take care of all your commercial painting needs. We can help your commercial building look great on the inside and out! A commercial painting company will be able to handle commercial painting jobs of any size, and at Prep-Rite Painting, we are no exception. We have all the equipment and tools necessary to get the job done, no matter what size it is. We have scaffolding and lifts that allow us to paint high ceilings and tall buildings. We also handle all the prep work and cleanup so that you do not have to worry about anything. When you call us, we will come out to the property and will go over everything you want done. You can select colors and we can even bring color samples for you to choose from. 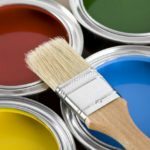 Are you looking for an experienced commercial painter? If you are looking for an experienced commercial painting company for your next project in the Raleigh, North Carolina area, contact us today at Prep-Rite Painting. We have over 24 years’ worth of painting experience and we treat each job like we are doing it for ourselves. At Prep-Rite Painting, our Commercial Painting Company proudly serve Apex, Cary, Holly Springs, Fuquay Varina, Chapel Hill, and Raleigh North Carolina.